For details, contact your Sony dealer. then mount the camcorder on the tripod adaptor. 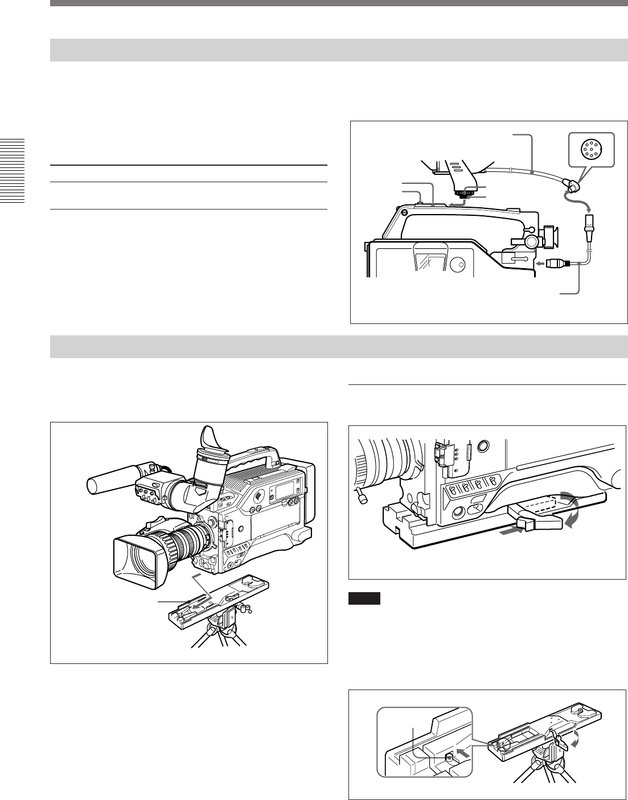 possible to mount a camcorder with the pin left out. it clicks firmly into place. stopper screw (accessory shoe kit).